Next day the big dealer markets began – time now for some major activity. I met up with Barry who was ready to start collecting and loading. On his way down through France he’d delivered an English roll top bath to my friend Francoise, for a turret bathroom in her chateau. It was last seen sitting splendidly in the middle of the dining room at the bottom of the stone spiral staircase. 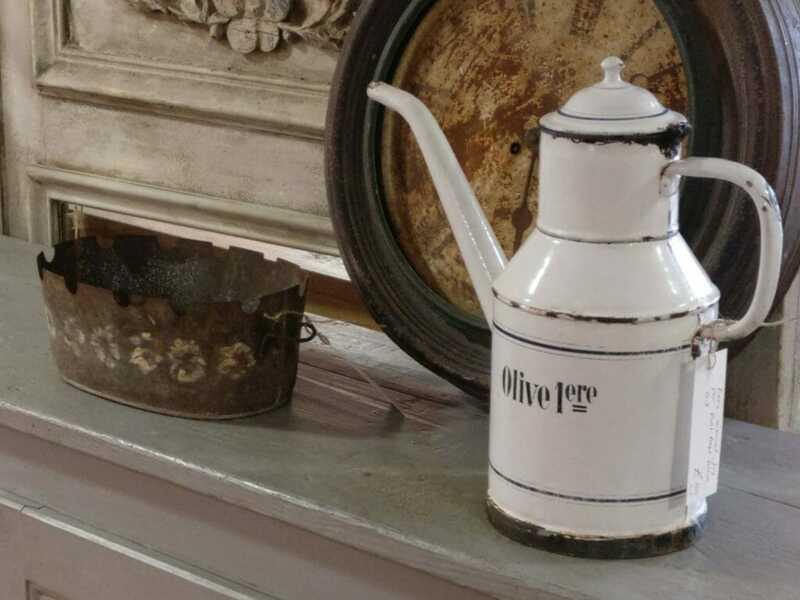 A white enamel jug with a lid and spout printed “Olive 1er” was a rare beauty. So were the ceramic pots for preserving olives with a pinky white tin glaze. A handful of folded 18th century letters, their red wax seals broken, were swiftly bought. One kilo jam jars – thick glass, endlessly useful for a vast number of things – were spotted in some crates. The stall holder enthusiastically told me she’d been clearing a house and found a stash of these in the cellar. “C’est rare, vous savez!” She pulled the crates into the shade of her parasol and upturned a wooden box for me to sit on while I sorted through the jars, picking out only the perfect ones. A welcome pause too from the overpowering heat. Five hours pass quickly: scanning, rummaging, greetings, encounters, queueing in the scrum for a plastic cup of coffee, negotiations, checkings in with Barry and then suddenly everyone starts packing up and another market is over. I was up at five next day to drive to the market in Avignon. A bruised pink dawn was hanging over the sea. Later, on the autoroute, just as I passed beneath a gantry indicating Orange, 35 minutes, a huge orange sun appeared on the horizon. The traffic crawled over the Rhone as I neared Avignon. I never mind though as there is time to see the Palais des Papes silhouetted and powerful, the famous half bridge, and then to admire the imposing ramparts round the city. The field next to the Parc des Expositions was full of cars and vans slewed to a halt. Through the security check and down to wait by the gates for the 8am rush. The thrill of each fair has yet to pall. The trawling past so much history, the rich story of things, along with seemingly half of Spain’s church interiors, mouldered canvases and gilded carved fragments. 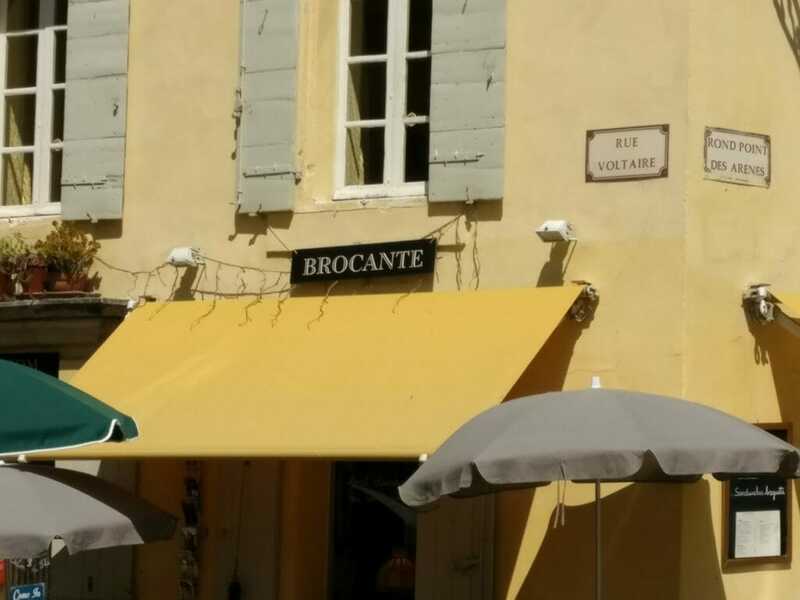 I drove back to my hotel through the Camargue, stopping in Arles where I’d spent a year teaching in my early twenties. 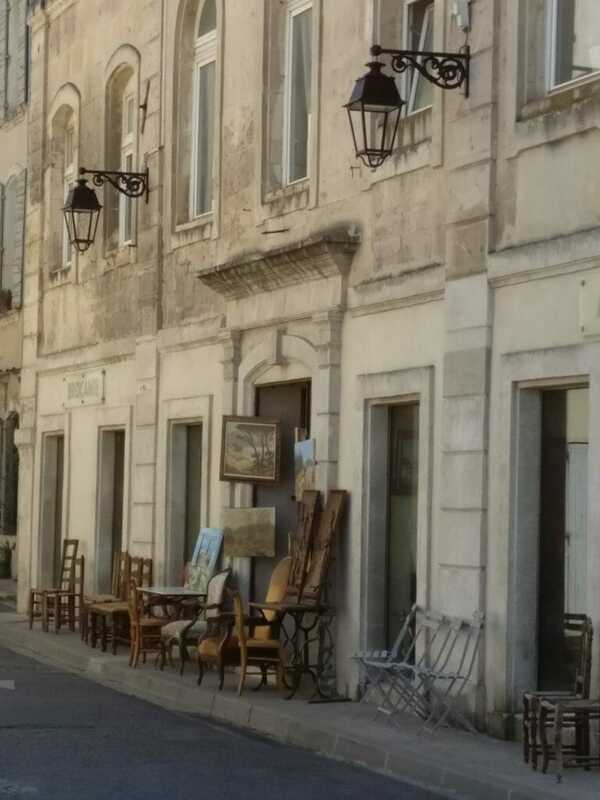 The antiques dealer by the Rhone was, as always, characterful. He wanted to have a clear out he said. His main shop and two others nearby that served as depots were all as crammed to the ceiling as each other after fifty years of trading. 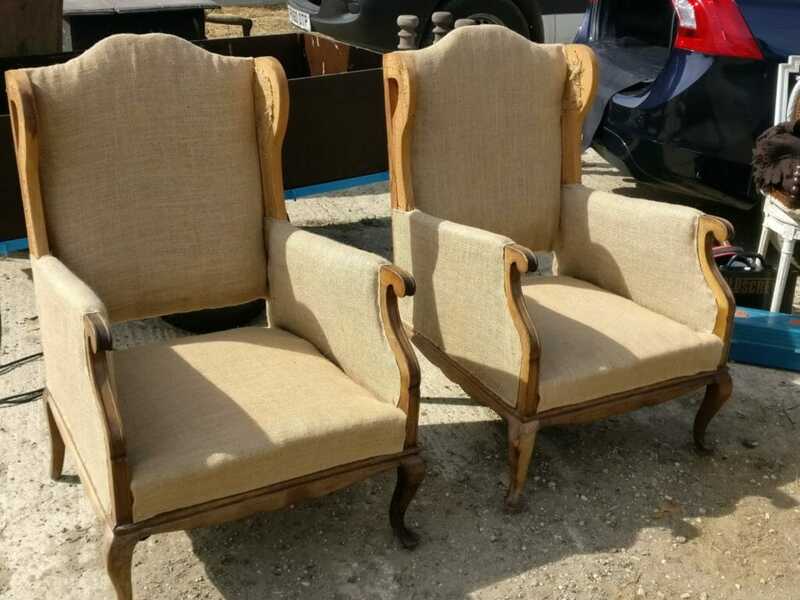 I liked what she was selling – 18th century walnut armed fauteuils, an 18th century painted tole jardinière, an 18th century fauteuil with a tapestry back and its sagging seat stripped down to its ticking cover – this one needed a little work. From a box of yellowed newspaper I pulled some beaded glass lamp shades. They needed cleaning and restoring but I had never seen any like this before and swiftly bought them. Meanwhile Barry was doing a magnificent job of collecting my purchases. He had to go twice to collect a set of white folding garden chairs, as the first time he went they were in use by the dealers having their lunch around a table.